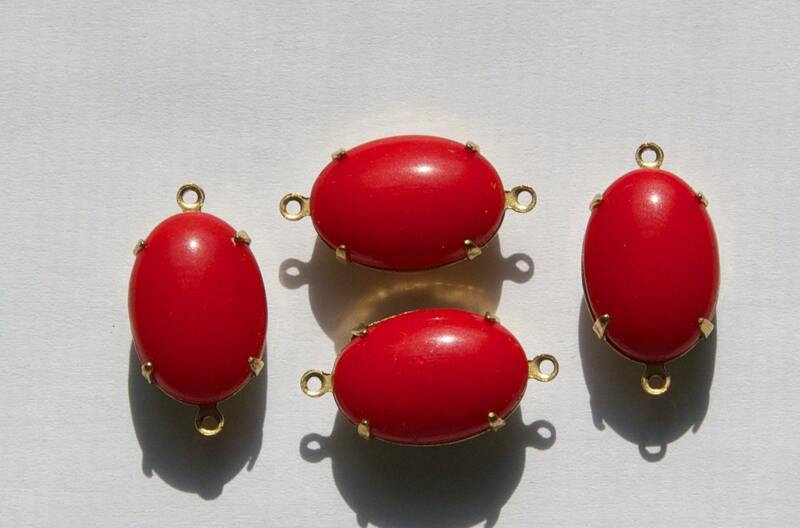 These are vintage red glass stones set in a two loop open back brass setting. The stones measure 16X11mm. You will receive 4 pieces. such a great seller. i have been a repeat customer for some time now.